Emoji characters with adapted skin tones are used positively and are rarely abused, a study of Twitter posts has shown. Fears that a range of skin colour options for the social media icons might be used inappropriately - -in provoking antagonistic racial sentiment—have been unfounded since their introduction in 2015, the results show. 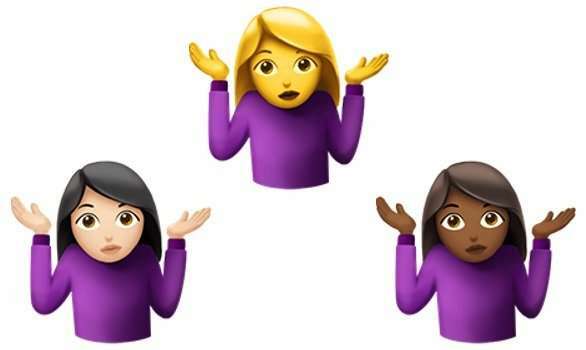 Dr Walid Magdy, of the University of Edinburgh's School of Informatics, who led the research, said: "The introduction of skin tone choices for emojis has been a success in representing diversity and their extensive use shows that they meet a real demand from users." Alexander Robertson, of the University of Edinburgh's School of Informatics, who took part in the study, said: "This result should encourage the addition of more emoji options for self-representation—adding to those that have been recently made available, such as red hair."